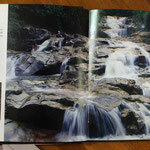 The book named "Waterfalls of Malaysia"
出版商 Publisher Design Dimension Sdn. Bhd. 式样 Format Hard cover, colour printed. This book was produced in coorperation between the Department of Irrigation and Drainage of the Ministry of Agriculture, Ministry of Culture and Tourism Malaysia, Malaysia Airlines and the publisher. 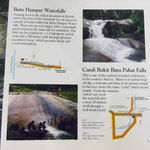 This book gives a wonderful pictorial presentation of waterfalls with simple maps showing how to get there. 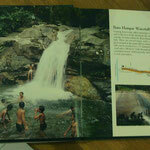 All the waterfalls in the book are arranged by state. 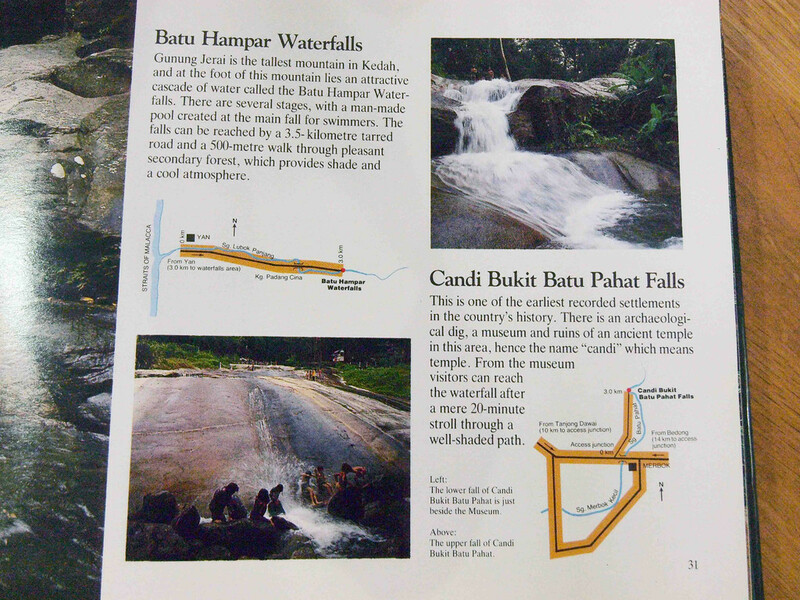 A total of 114 waterfalls are featured in the book and this figure by no means cover all the waterfalls in the country. Many waterfalls have not been included for various reason, eg. trail inaccessible. The book can be served as rough guide due to lack of information. 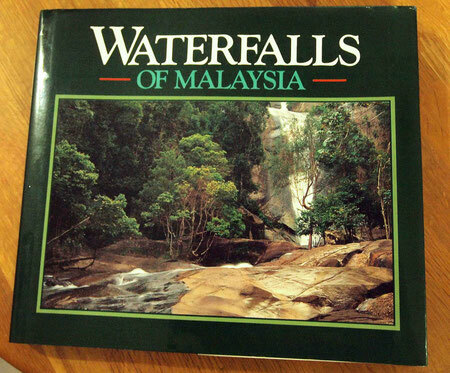 But considered the book is published 20 years ago without the support of GPS and digital camera technology, it still a good book collection for local waterfall enthusiast.